The online space of actor / plus model Lauren Leigh McKenna / indie-pop + cabaret artist Valentine. Loving these silver booties (above)- very similar ones can be found at Gorman at the moment... swoon! Here above, a monochrome classic. So chic in all black. The denim and leopard print above splashed perfectly over a LBD black canvas. Neutral jackets and blazers can be effortlessly thrown over any LBD as seen above. The fine metallic gold belt is a lovely touch too. You can't go wrong with black and gold. A statement sequin clutch never did anyone any harm either! Love this LBD look with brown leather, coloured cardigan and fine strands of beads for a cool festival look. Any unusual statement blazer is balanced perfectly with a LBD for the foundation of the outfit. The LBD moves from a work day to an evening out perfectly. Gold belt, fringed bag and trainers- a chic and casual LBD option. 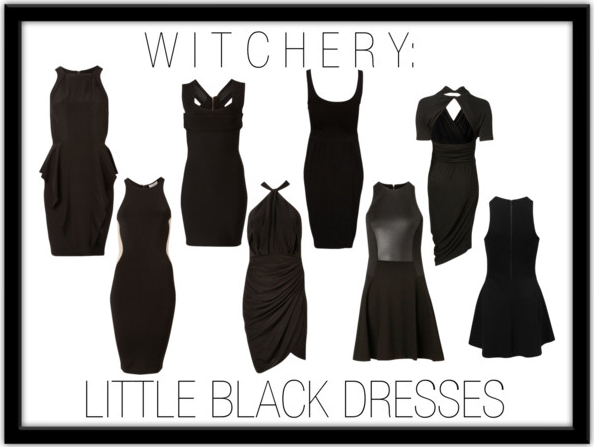 I love the versatility and timelessness of the LBD. Style Diary Day 16: "Airport Chic"